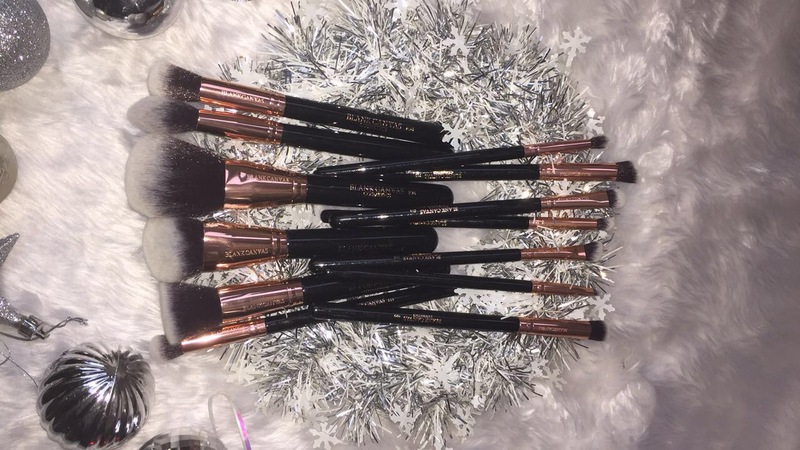 In case you missed them on my snapchat I thought I’d share the prettiest professional make up brushes with you here. Blank Canvas Cosmetics Have just created these metallic and rose gold beauties called the Dimension Series and they are seriously beautiful. 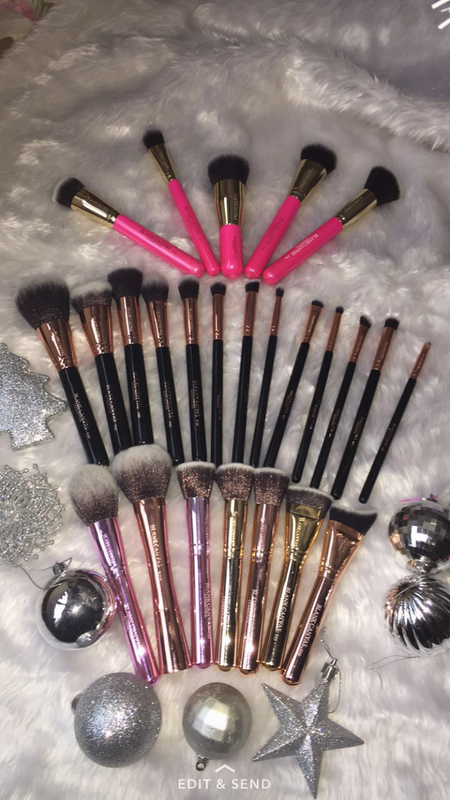 The pink metallic,Rose Gold metallic & Gold metallic have already been a huge hit with make up lovers,Magpies and Make up artists already and I swooned for them too, so I was delighted and squealed with excitement when I received these in the post. Tired of silver and black? New colour options include stylish combinations of gorgeous gold and hot pink, rich rose gold and black, metallic rose gold, and gold combined with champagne pink. The complete collection of larger domed and rounded buffing and contouring brushes all feature exciting new looks. 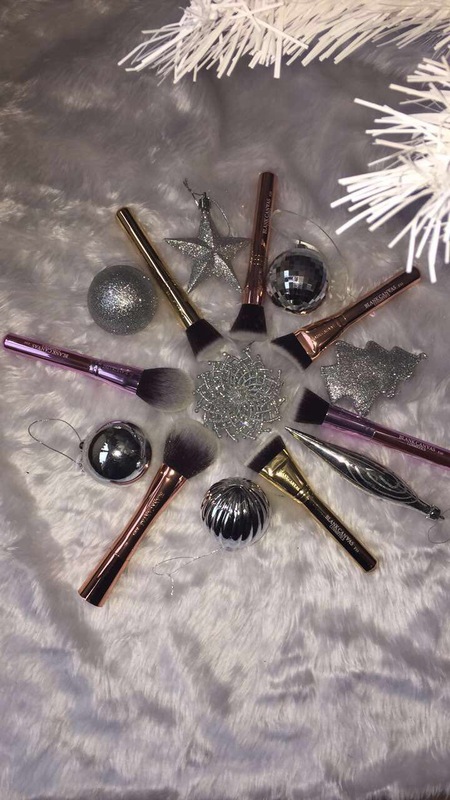 The range includes F01 Face Brush, F06 Bevelled foundation/contour brush,F08 Dome buffing brush,F31 Targeted Contour Brush,F33 Extréme Angle contour brush, F38 Round contour brush,F39 Dome Powder Brush,F41 Flat Tapered Cheek Brush, and the F43 Flat Rounded Multi face brush. 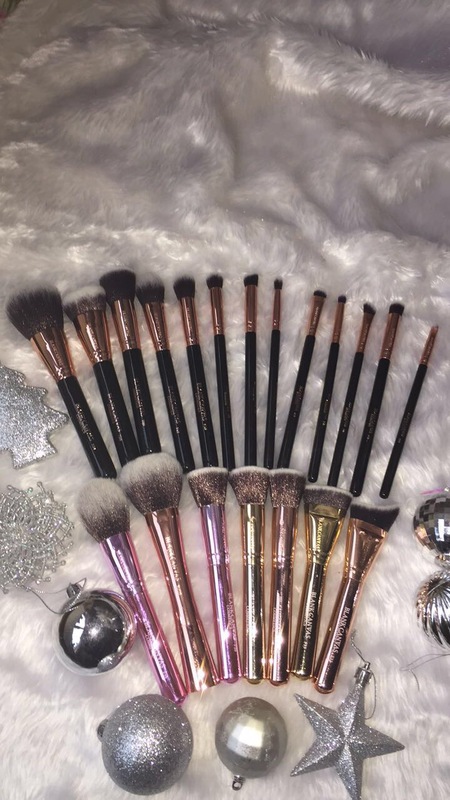 Even the cutest and most precise brushes are looking super stylish in new rose gold and blank handled livery! 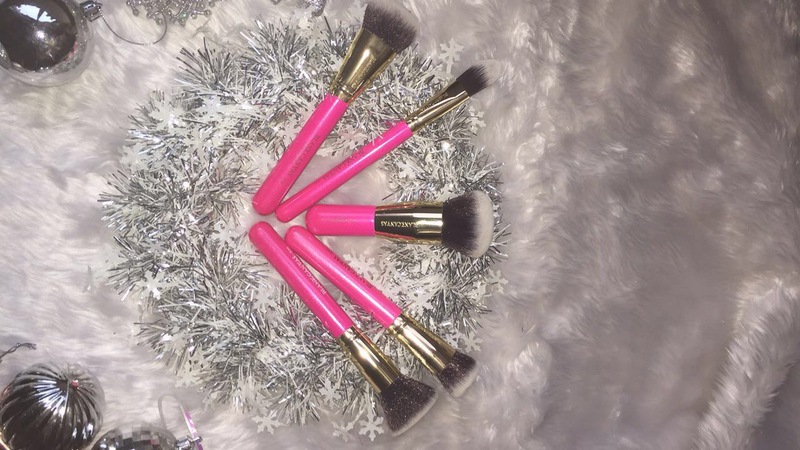 These include F09 Flat eye/Face blending brush,F11 Large eyeshadow brush,F12 angled eye/face brush,F13 small eye/face blending brush,E01 round eye blending brush,and E03 lip detailer/inner tear duct brush. 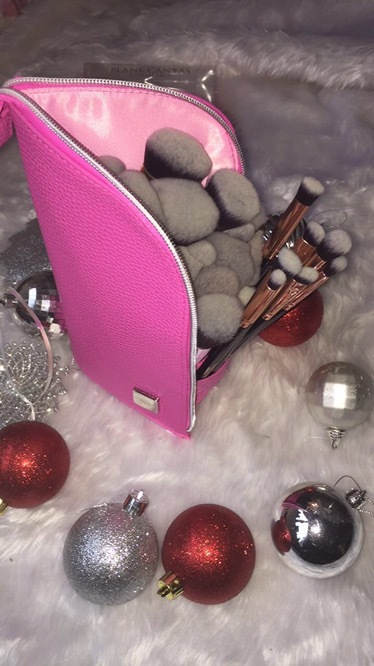 This fabulous faux leather ‘standee‘ brush bag comes in black and hot pink. Priced at €19.99 it’s ideal for storing your brush collection and perfect for travelling too. When opened it sits on its reinforced base, allowing handy access and easy sight of brushes.